Each year, the Virginia Mason Foundation honors a remarkable philanthropic couple with the Meurk Distinguished Service Award. On Nov. 19, this year's award was presented to John A. Ryan, Jr., MD, emeritus Virginia Mason surgeon, and to his wife, Jody Foster, MSW. "We feel honored to be in the company of the former award winners," they commented. The couple have donated to various Virginia Mason causes. They have co-chaired the recent capital campaign, Illuminations luncheon, and the Dreambuilders' Ball. "We feel a tremendous loyalty to the institution and want to support it" John said. "We believe in the Virginia Mason Production System, the Virginia Mason people and the Virginia Mason presence in the community," added Jody. John says philanthropy is a key to excellence, recalling words of former chairman Roger C. Lindeman, MD: "Virginia Mason can be a very good medical center, but it takes philanthropy to be a great medical center." Appreciative patients often donate, as did one of John's, leading to an endowed lectureship in his name. “Giving is important for physicians as well, and can be done at all phases of one's career. It's about giving what you can,” John said. “You can give in many ways," Jody noted. 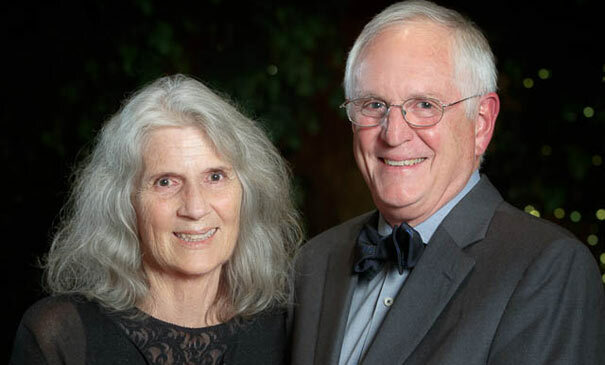 The couple’s generosity goes beyond Virginia Mason; they also donate to the Alliance for Education, a fundraising arm of the Seattle public schools, including the Foster Award, named after Jody's father and given to a local principal. And they support organizations focusing on social justice: the Pike Place Market Foundation, the Plymouth Housing Group, Seattle Parks Foundation, Seattle Waterfront, Washington Women's Foundation and UW Bending the Arc. To John and Jody, philanthropy all boils down to "giving back to the community, making the community better in all aspects. It's an important part of life."